Poetry Archives | Page 2 of 39 | Ms Moem | Poems. Life. Etc. But you can take the lesson. 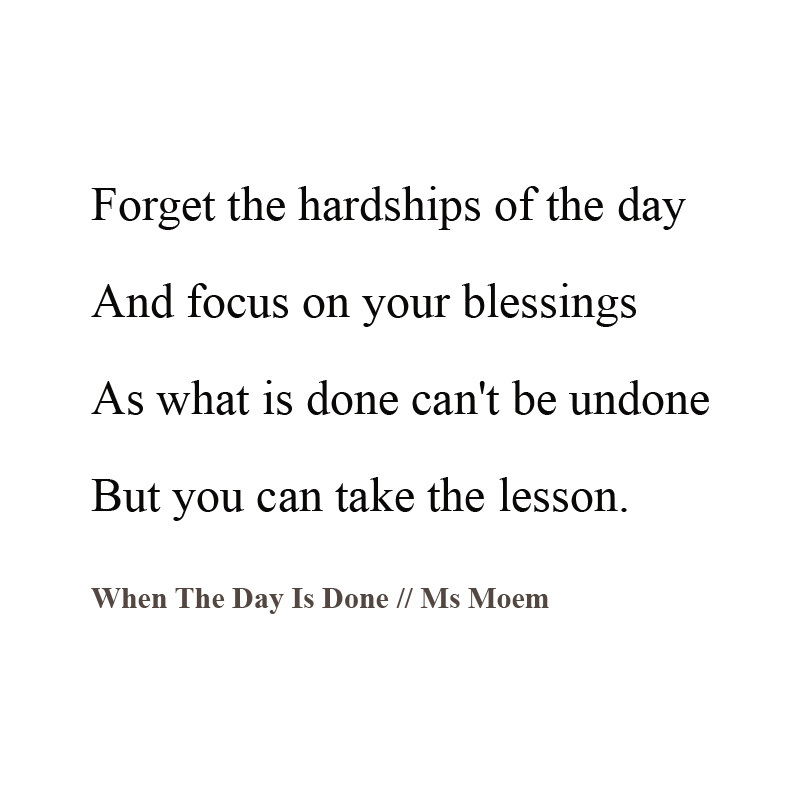 © When The Day Is Done is a short poem by English poet, Ms Moem. From all we do and say. Just living day to day. That we should consider our whole. And words that are said. And help diffuse their tension. Have nothing bad to mention. That you’re lucky to be you! That cuts through the dark. So only good can take spark. And firm, yet flexible roots. Of the time you shared a skin. Where your character comes from. And the love she has to give. She loves with all her heart. Even when you are apart. A mother has no rival. The bond is truly unique. Even when you do not speak. And to never give up on you. And to be a friend as you get older. Whilst also setting you free. While your life has her in it. The angel at my side. lives a chap you’ll never know. at a place you’ll never go. then he sits down at his desk. ’til the time that he’s set free. Suppressing all his hopes & dreams. a town he’ll never know. 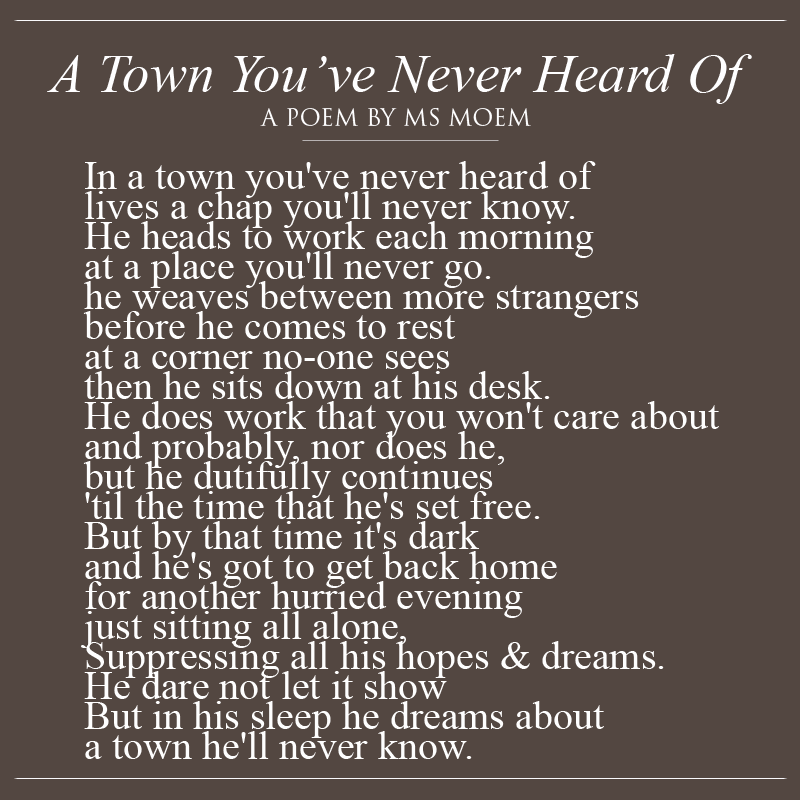 A Town You’ve Never Heard Of is short thoughtful poem by English poet, Ms Moem. © All rights reserved. 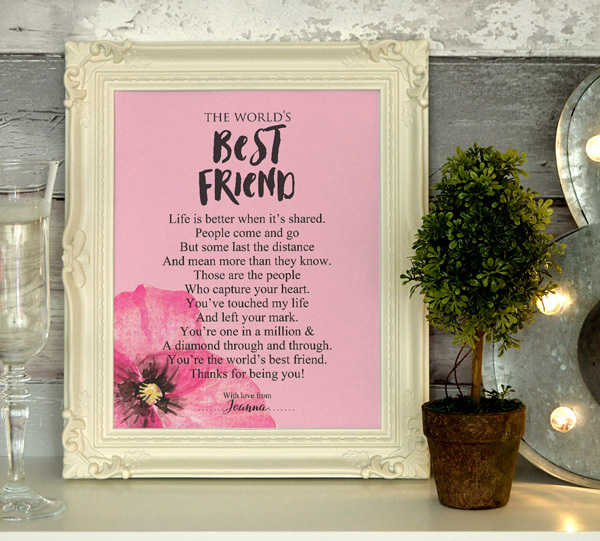 I really hope you like this best friend friendship poem. If you do and you would like to give a copy to your friend, you can find an instant download to purchase and print yourself, on my etsy store. You can even personalize it by signing it with your name too! All poems on this poetry blog is © Ms Moem unless otherwise stated. All rights reserved. Catherine, Duchess of Cambridge has a new baby to enjoy. A prince, delivered on St George’s Day, a bouncing baby boy. Before introducing George and Charlotte to their brand new baby brother. © Poem, video and animation by Ms Moem. Just hit three quarters of a million views on youtube! That’s a fair few eyeballs. Thanks so much to everyone who has ever watched, liked or shared any of my poem videos. I know numbers aren’t everything, but is nice to see a bit of growth and progress over time. It is honestly a great privilege to even be able to share my original poems with even one person. I never imagined when I started uploading my poems and videos online that so many people from all around the world would get to interact with my poetry, so it’s really heartwarming to see it happening and to have the opportunity to keep on sharing. Onwards towards the million now. The place I love the most. To always keep it close. My favourite place I’ve been. It’s warm and super cosy. The place of all my dreams. Some search a lifetime for. But I simply call it us. 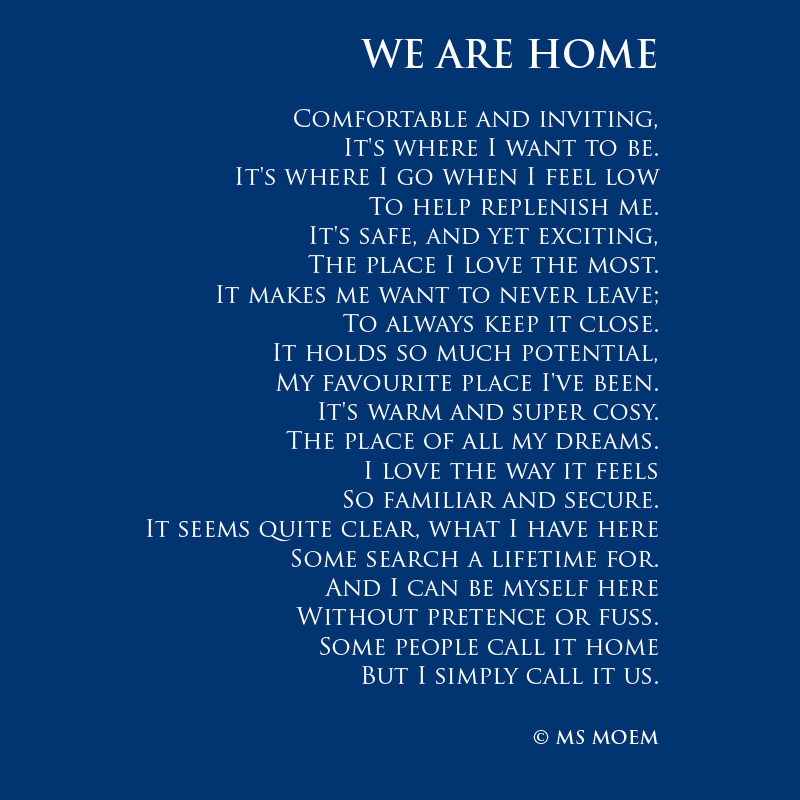 © We Are Home is a wedding poem written by English poet, Ms Moem. If you use this as your wedding poem, do drop me aline and let me know. I love to see where my poems get to when I am not looking! And if you would like to purchase a copy of this poem, either to print and frame in your home or to give to the person doing your wedding reading, you can find an instant download on my etsy store. And watch as you grow. That you’ve left your mark. A diamond through and through. 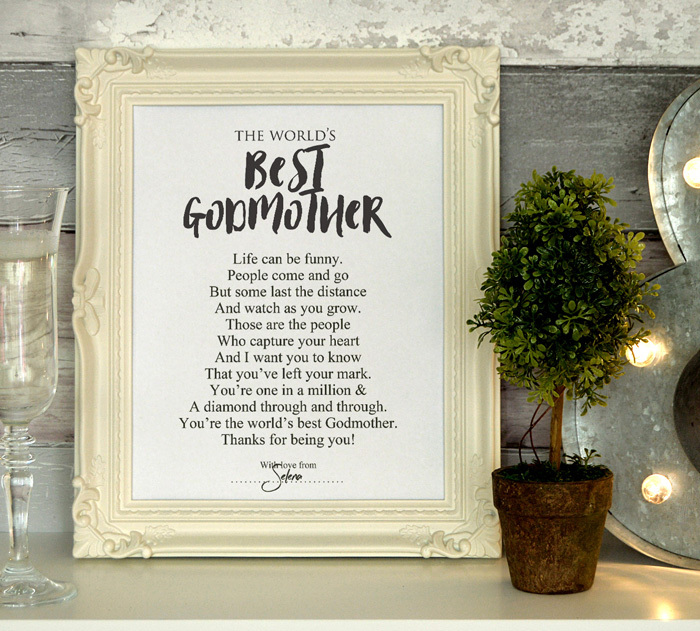 You’re the world’s best Godmother. 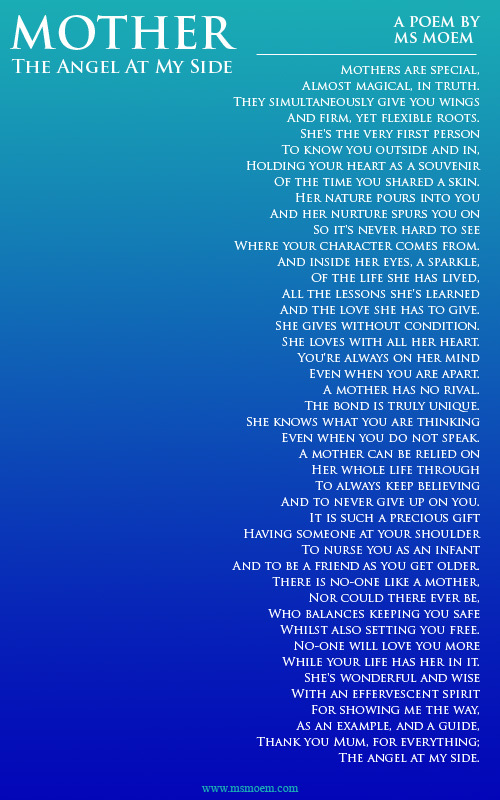 © World’s Best Godmother Poem written by English poet, Ms Moem. 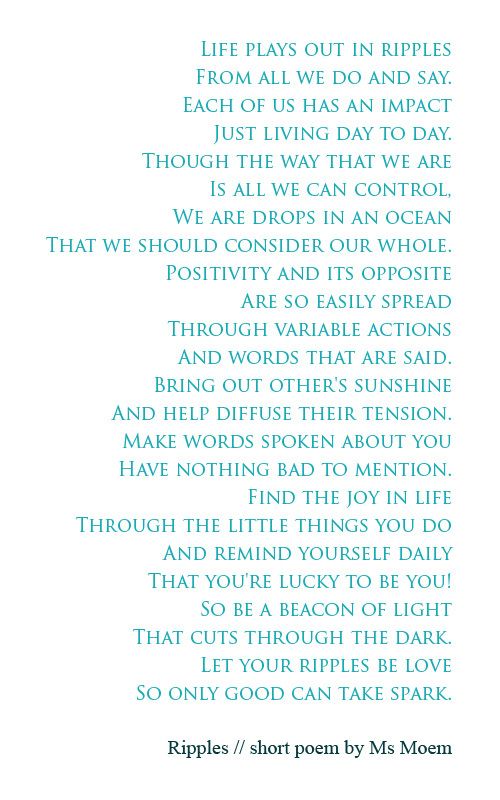 You can purchase a copy of this poem to download and print to give to your Godmother, in my etsy store. And my world entwines with yours. With a feeling so intense. Of emotions and of sense. To never let you doubt it. And to not be too demanding. That I mean the whole of you. Your soul and your spirit. With the two of us in it. And you make it such a pleasure. 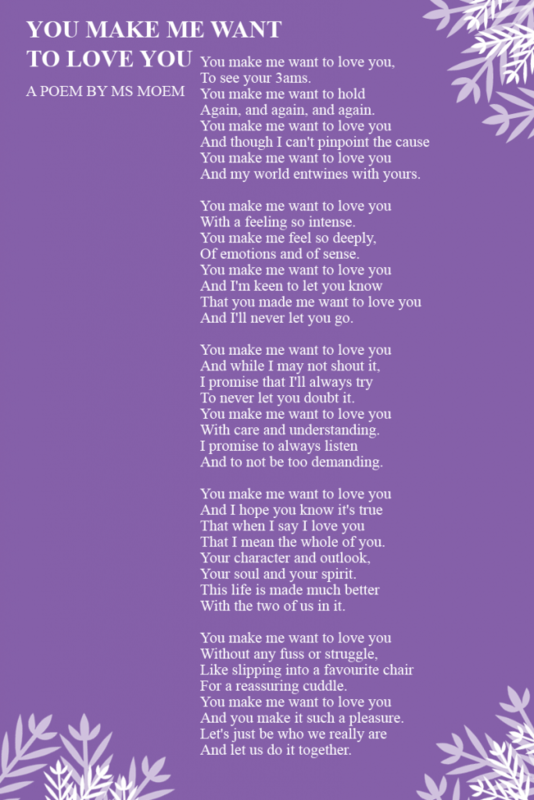 You Make Me Want To Love You is a wedding poem by English poet, Ms Moem. © All rights reserved.